Who says diamonds are only for engagement rings? 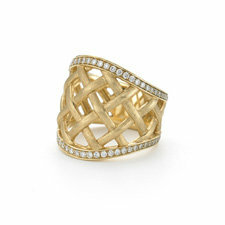 From traditional to modern, add some extra sparkle to your jewelry repertoire with a diamond right hand ring. Whether you wear one bold statement ring or create a stack with multiple thin bands, we can guarantee you’ll feel poised and chic every time you look down at your right hand. Treat yourself with a right hand diamond ring that speaks to your unique sense of style. From JB Star to Bez Ambar and beyond, Alson Jewelers is proud to offer a vast collection from some of the world’s best designers in Cleveland, Ohio. Stop in to shop with us today!